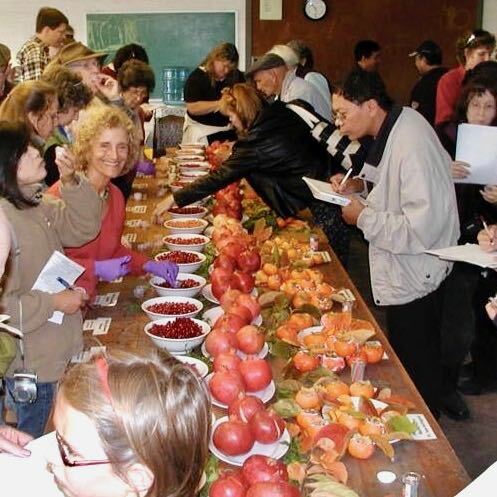 CRFG welcomes anybody who is interested in growing fruit. Full access to our members-only events. 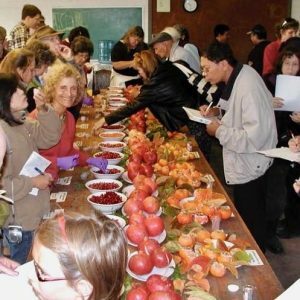 Access to Fruit Talk, our email listserve and online forum — a continually-updated source of local fruit-growing information, events notifications, and expert answers to your fruit-growing questions. A year’s subscription to Fruit Gardener, our bi-monthly glossy magazine available in your choice of electronic or hard copy delivery. Early opportunity to buy rare fruit trees before our summer plant sale. A variety of membership options are available. Annual dues start at only $29/year with electronic delivery of our magazine, and $39/year with postal delivery. Current CRFG members can join the Redwood Empire chapter for free. Sign up with CRFG National with your choice of online signup or paper mail-in form. Join the CRFG-Redwood chapter with no additional fee by emailing the membership chairperson at “membership at crfg-redwood.org” (replace ” at ” with “@”). Provide your real first and last name, and either a copy of your CRFG National payment confirmation or a photo (or scan) of the label from your Fruit Gardener magazine. The membership chairperson will reply with enrollment confirmation including information on how to participate in the listserve (our email discussion and event announcement list).